Logic Home enables you to easily create a modern intelligent home, giving you control of your lights, appliances, heating, security and multimedia at the touch of a button. Nearly everything in your home can be connected and remotely controlled with a single app. Logic Home enables seamless automation and control of the home using a single app. According to your needs you can monitor and control lighting, indoor climate, entertainment systems, home devices and home security. 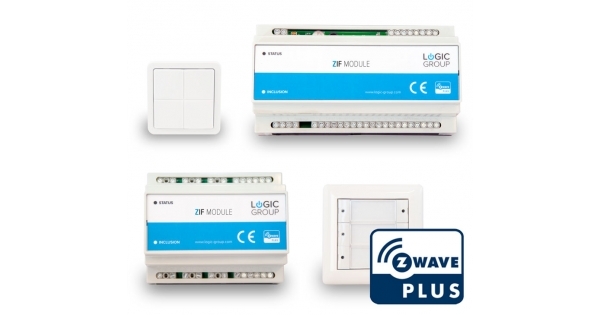 Logic Group offers various home automation products that easily integrates with Z-Wave, which is the safest network standard. Our product line is all Danish technology and design and we are continuously looking to improve and expand our product line. At Logic Group we want to make life easier, smarter, more convenient and safer. Our solution helps you monitor and control everything; from lighting, entertainment, temperature, access and security. We have decades of experience in developing software and products for the professional market of building automation and security systems. Join us if you are interested in working on cutting edge smart home technology. Are you working on a Logic Group story and have some questions for us? We’ve got the answers. Yes please, I wish to receive newsletter from Logic Group A/S and I accept that Logic Group A/S automatically process my personal informations.